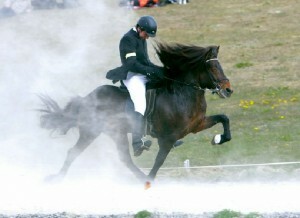 Son of Kjerúlf frá Kollaleiru (8.44) and Skreyting frá Kanastöðum (7.93). 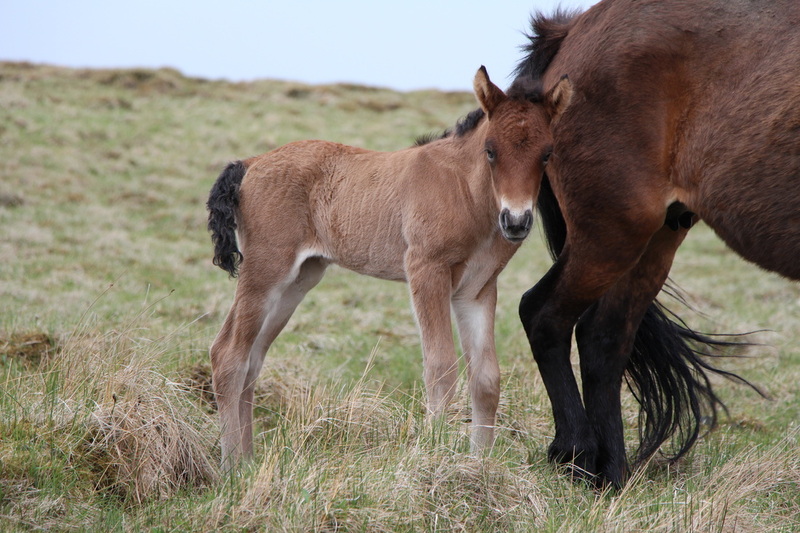 Sléttuúlfur frá Heimahaga is son of Kjerúlf frá Kollaleiru (8.44) and Skreyting frá Kanastöðum (7.93). 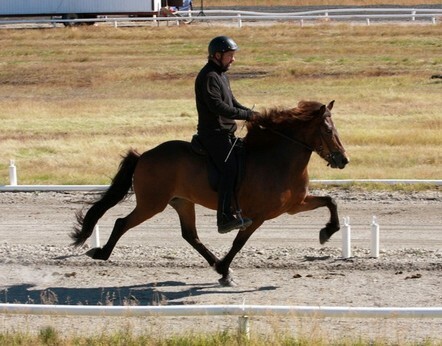 Skreyting is a four gaited mare with 8.05 for Riding Abilities; 9 for tölt, 8.5 for trott, 8.5 for gallop, 9 for spirit, 8.5 for general impression and 7.5 for walk. 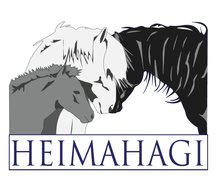 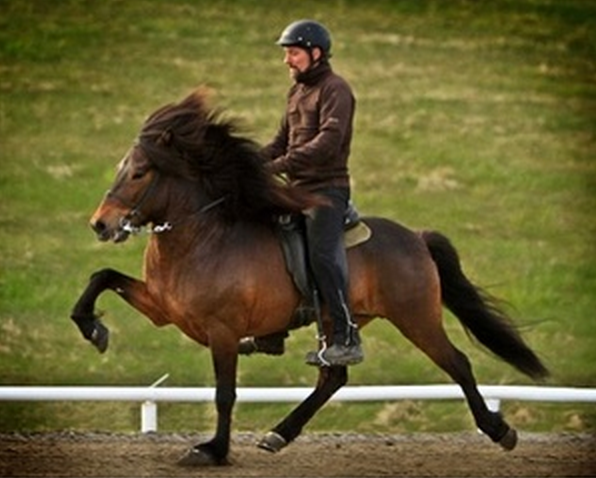 Sléttuúlfur is brother of Kveldúlfur frá Heimahaga, same father and same mother and was born on the 30th of May. 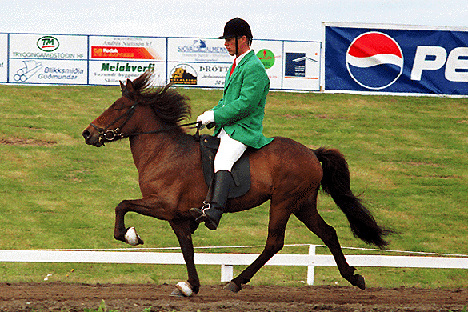 Kveldúlfur's father, Kjerúlf fra Kollaleiru (8.44), is son of the four gated stallion Taktur frá Tjarnarlandi (8.37). 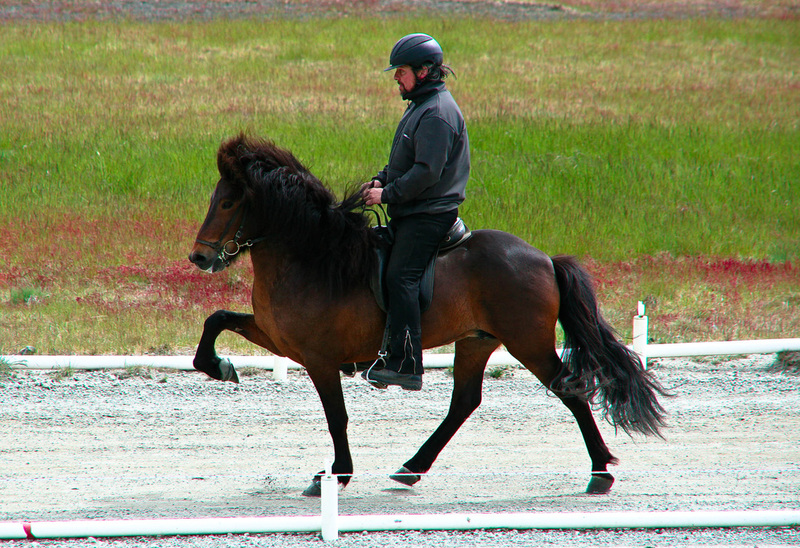 Taktur (son of Orri frá Þúfu) has 8.51 for Riding Abilities; 9.5 for tölt, 9.5 for trot, 9 for gallop, 9 for spirit and 9 for general impression, and Fluga frá Kollaleiru (8.24), she had 8.73 for Riding Abilities; 9 for tölt, 8.5 for trot, 8.5 for pace, 8.5 for gallop, 9 for temperment, 8.5 for character and 8.5 for general impression.